The goal of the Petroleum Labour Market Information (PetroLMI), a Division of Enform, is to help industry develop a sustainable, skilled and productive oil and gas workforce. PetroLMI develops strategies, solutions, products and services to help the oil and gas industry address its human resource challenges. This is accomplished through provision of expert knowledge on petroleum labour market trends and strategic HR solutions. PetroLMI is the primary resource to address workforce development and labour market issues in the Canadian petroleum industry. Labour Market Information and HR Trends: Petroleum Labour Market Information (formerly known as Petroleum Human Resources Council of Canada) had developed a model to provide up-to-date labour market information on workforce trends, issues and projections in the short, medium and long term (to 2020). Up-to-date and accurate labour market information (LMI) is vital for attracting, retaining and developing a qualified workforce for the upstream petroleum industry. Careers in Oil & Gas Website: The Petroleum Labour Market Informationl, with support from other associations (PSAC, CAPP, CAODC, EPAC, CEPA, CAGC and Enform), developed this website to attract a variety of skilled workers to the oil and gas industry, so the industry has the skilled employees it needs, when it needs them. 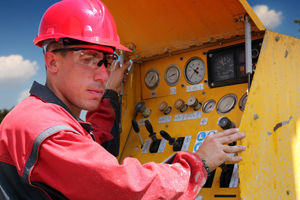 Career Information and Occupational Tools: Occupation Profiles, created by the Petroleum Labour Market Information, details everything you need to know about work, education and career paths for a specific occupation in oil & gas.